Life has been quite hectic these days. I Renang is expanding and living in the same house with your boss, we talked about it most of the time. Arguments included, of course. Ha-ha. Today is a public holiday in Malaysia (Deepavali). But since morning we had a meeting and I'm supposed to have class at 3pm today. At about 2.30pm it started to rain so the class was cancelled for today. It can't be delayed as the student herself got a limited time. A bit disappointed because that means class replacement. But I always try to remind myself that everything comes for a reason. Ada hikmahnya. I already crochet 10 granny squares. I still don't have any specific plan on what I'm going to do with it. Turn it into a blanket, a tablecloth, or a cushion cover? At first I wanted to sell it. As in make something and sell it. 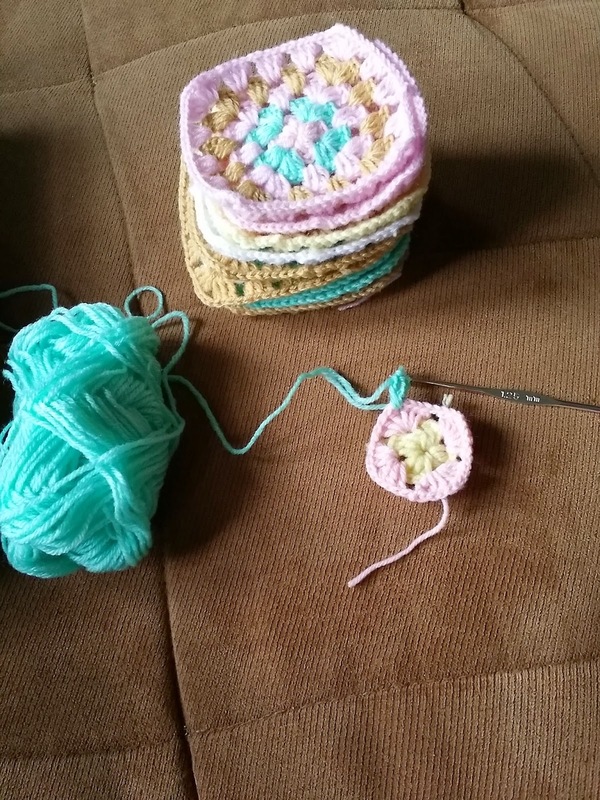 Then I got so stressed crocheting because for something you want to sell, you can't go one granny square per day.